Jerusalem, September 6, 2016 — The Hebrew University of Jerusalem has retained its leading position in the new QS World University Rankings. Published today, the 2016-2017 rankings place the university first in Israel and 148th in the world, further cementing the university’s reputation as a leader in research and academia. 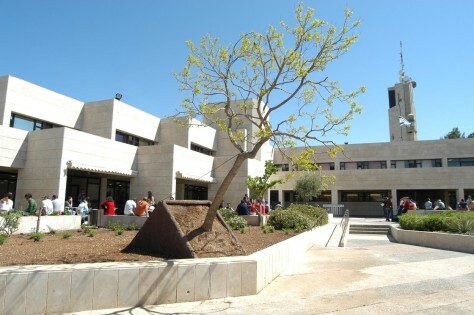 Of the 7 institutions evaluated within Israel, the Hebrew University was ranked highest for Academic Reputation and Overall. In the QS World University Rankings by Subject, published in March, the Hebrew University was ranked among the world’s top 100 institutions in History, Anthropology, and Agriculture & Forestry. First compiled in 2004, the QS World University Rankings rate the world’s best-performing higher education institutions, considering over 4,000 for inclusion and evaluating over 900. The ranking considers universities’ performance across six indicators, selected to reflect research impact, commitment to high-quality teaching, internationalization, and global reputation amongst both academics and employers. Published by QS Intelligence Unit, the rankings are online at www.topuniversities.com. The Hebrew University of Jerusalem is Israel’s leading university and premier research institution. Founded in 1918 by such innovative thinkers as Albert Einstein, Martin Buber and Sigmund Freud, the Hebrew University is a pluralistic institution where science and knowledge are advanced for the benefit of humankind. Serving 23,000 students from 85 countries, the Hebrew University produces a third of Israel’s civilian research, and its faculty are at the forefront of the international academic and scientific communities. For more information, please visit http://new.huji.ac.il/en.